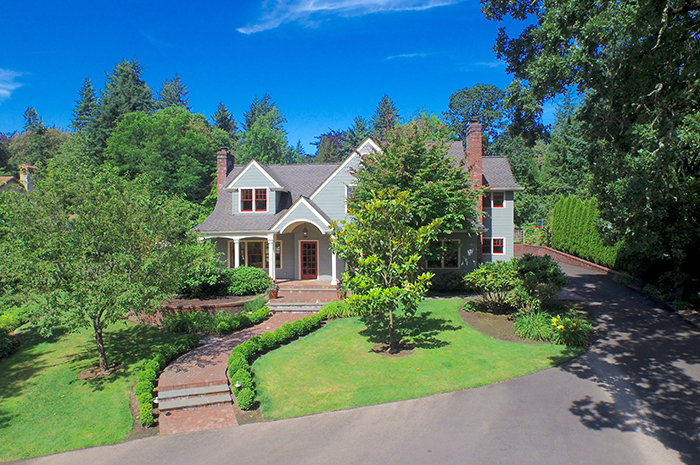 Synonymous with beautiful private estates graced with mature trees, landscaping and gardens, Dunthorpe is a hidden gem located just north of Lake Oswego and just minutes south of downtown Portland. 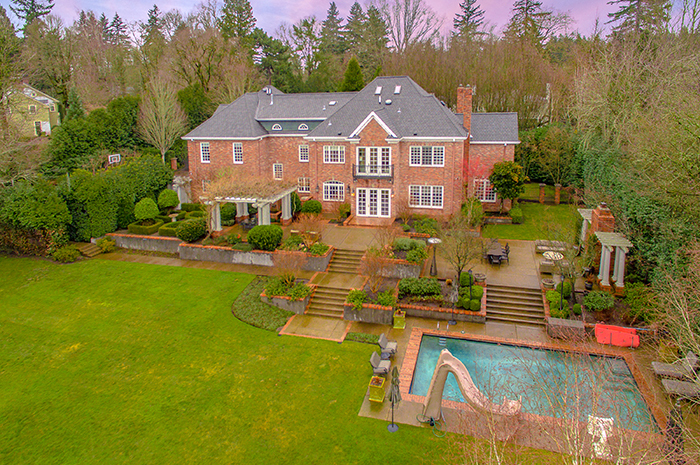 Known for grand luxury homes, Dunthorpe is one of the most prestigious neighborhoods in Portland with mostly older estate style properties and its own esteemed public school district with a “private school” vibe. The family friendly neighborhood is centered around Riverdale Grade School and High School. With the school being the only non-residential facility in the neighborhood, residents savor supreme privacy while also enjoying handy access to nearby Lake Oswego’s village offering a plethora of restaurants, shops, markets and more. 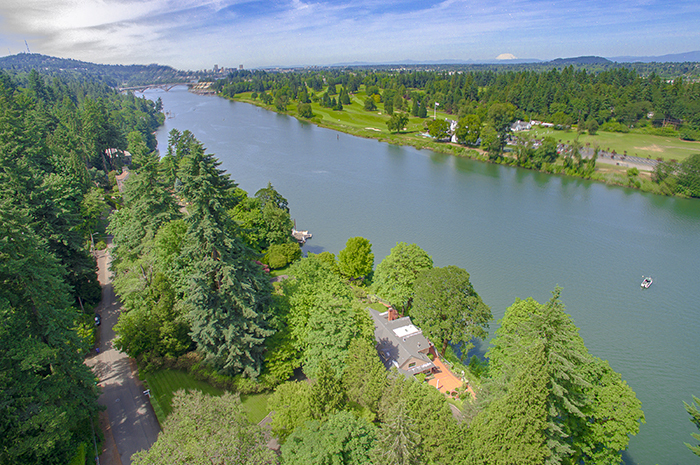 Abutting the neighborhood is the Willamette River, Lewis & Clark College and Tryon Creek State Park with miles of walking, biking and equestrian trails. Most of the region is zoned for a minimum of 20,000 square foot lots, or approximately one half acre, but a large percentage of the homes and estates sit on much larger parcels measuring an acre and even more providing privacy and seclusion. Many of the properties in this neighborhood consist of luxury homes. Situated on large sprawling parcels with picturesque gardens and pools. 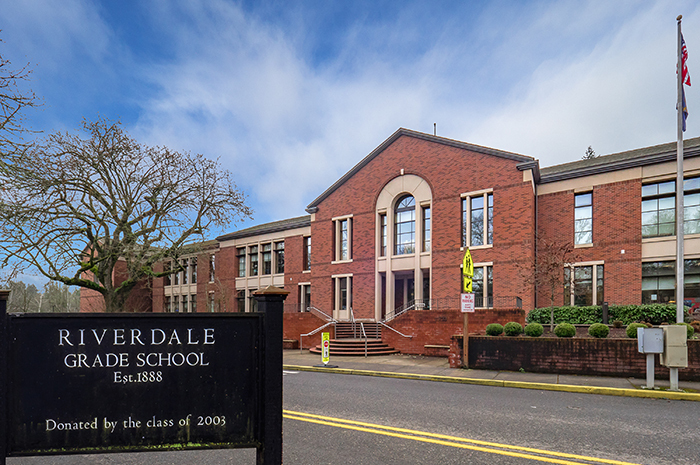 Most of the neighborhood lies within the renowned Riverdale School District, although some homes are located within highly sought after Lake Oswego School District boundaries. Homeowners delight in the quick commute to downtown Portland for work or an evening out in the city. A constant scene of activity, the Willamette River flourishes with wild life and is a haven for water sports enthusiasts ranging from crew teams, to fisherman, to wakeboarders and jet skis. Portland’s cruise ship, the Spirit is a common site and Portlanders gather every December to delight in the annual holiday boat parade. This private liberal arts college boasts a picturesque campus graced by the historic Frank Manor which is home to the administrative services and overlooks Mt. Hood, its highly formal gardens complete with reflecting pond. Nearby regarded Lewis & Clark Law School. As the city’s retail core, downtown Portland offers a plethora of dining and tax-free shopping options from Pioneer Place Mall to Northwest 23rd Avenue boutiques. Home to the Tom McCall Waterfront Park, where festivals frequently take place and the Portland Saturday Market flourishes with live music, specialty foods and arts and crafts. Close by is Pioneer Courthouse Square, one of the most visited spots in town, including a farmer’s market on summer Mondays, free concerts, movies and a lovely holiday tree- lighting ceremony. Portland’s famed food carts are just a block away from the courthouse, by Director Park, and offer a wide selection of delicacies. Enjoy the Portland Art Museum’s world class collections, listen to the Oregon Symphony at the Portland’s Arlene Schnitzer Concert Hall or catch a Broadway musical at the Portland’s Center of Performing Arts. Located on the Willamette River, this local attraction is the oldest operating amusement park in the entire country. Known for its vintage charm, it offers a selection of rides, roller skating, picnicking, mini golf and more. The Oregon Museum of Science and Technology is one of the nation’s leading science centers and main attractions in Portland. Located on the Willamette River on the east side of Portland. The attractions vary from world’s best science exhibits, the hands-on labs, the US Navy’s last non-nuclear submarine called the USS Blueback Submarine, the most technically advanced planetarium in the Pacific Northwest, Science Playground, motion simulator, the popular Empirical theatre and the new riverfront restaurant. There are special monthly events that occur including OMSI after dark for ages 21 and over and private events open for all ages. A rich and diverse museum decorated to explore the arts and film. Founded in 1892 and is one of the oldest museums in the Pacific Northwest. The museum has an impressive collection of more than 42,000 objects that reflect the history of art from the ancient times to today. Offering more than 112,000 square feet of gallery space, the museum ranks in the top 25 museums in the country with the most gallery and exhibition space. Known for its permanent collections including Native American Art, European Art, Modern and Contemporary Art, to the museum’s special exhibitions that reflect film, photography and storytelling. Showcasing over 1,000 music, dance, comedy, and educational lecture performances in Portland each year, this center is the 5th largest performing arts centers in the country. These performances include Broadway shows and theatre, the Oregon Symphony, Oregon Ballet, Opera and more. Don’t miss Portland’s most photographed features, the Broadway Marquee of the Arlene Schnitzer Concert Hall, crowned by a 65-foot high “Portland” sign illuminated by 6,000 lights! To find out more about Dunthorpe properties for sale, call local expert Hall Group Properties at 503.799.7255 or 503.720.3900.